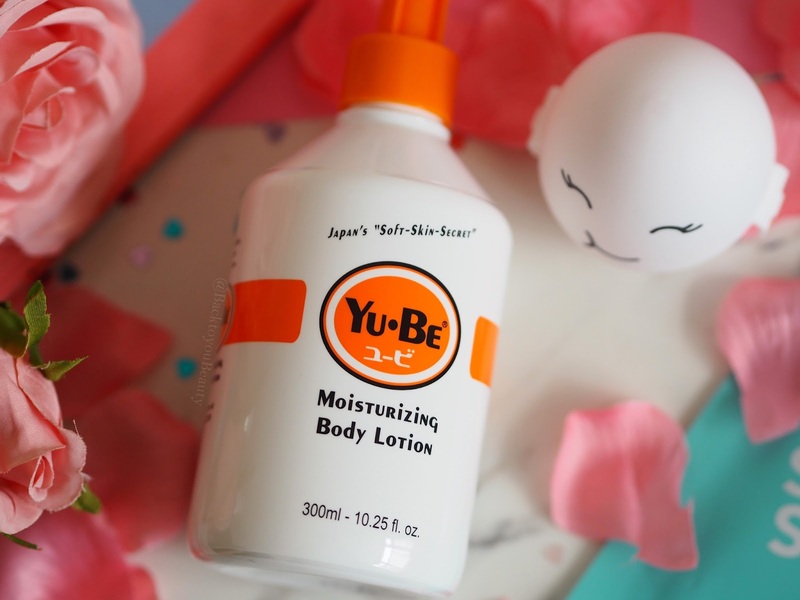 Japanese brands have long been firm favourites of beauty and skincare lovers worldwide with some long standing, luxury brands, but the past couple of years K-Beauty has staked its claim in the beauty market, leaving customers wondering is there room for both? Well in my opinion yes! Yes there is, just like we all mix and match our make up and skincare brands on a day to day basis, J-Beauty and K-Beauty can happily be used together. 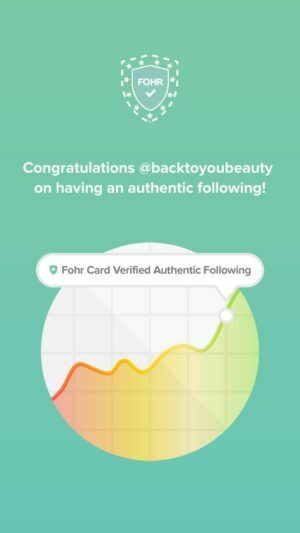 J-Beauty is more about those simplistic Japanese rituals of fewer products, great ingredients used in a more softer, balanced methodical way and Korean beauty is currently appearing more as ‘Trends’ with very fun, quirky Instagrammable packaging and lengthy 10 step routines. I have found that with a little search and rummage and figuring out what your skin and make up bag really do need, you can incorporate both into your lifestyle in perfect harmony. 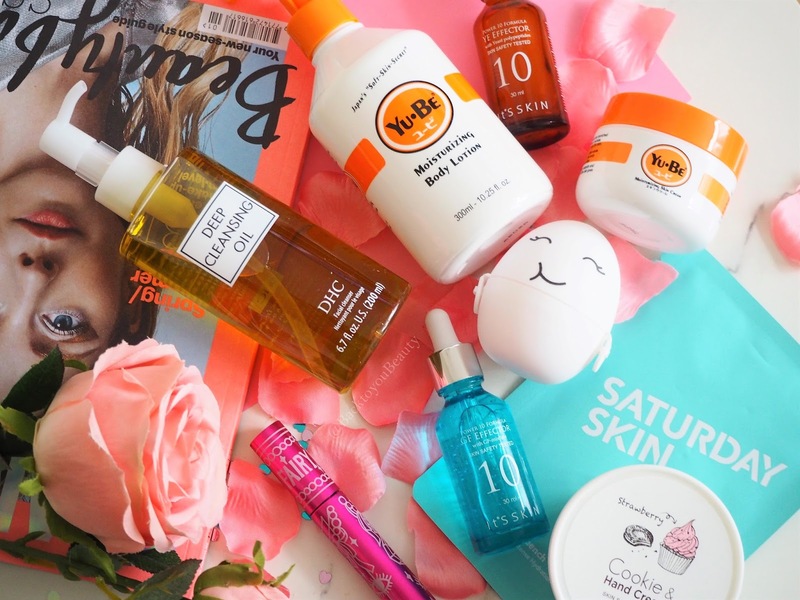 Below are some brands that i have been using, and loving for many months, brands that you may already recognise from my blog, that i really think you should try. This serum absolutely deserves a drum roll in my mind. I have been completely bewildered, blown away and obsessed in equal measures with this product. What ever which craft and magic this potion contains it’s fabulous hahaha. In all seriousness, It’s Skin is a fantastic Korean skincare brand that i have featured a few times before (HERE) and i really enjoy their products. 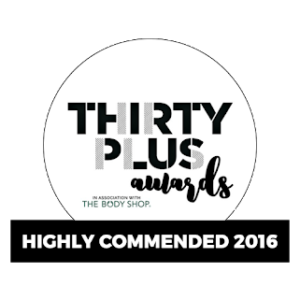 Developed by dermatologists from Seouls university, It’s Skin is an award winning mix of incredible results and high quality ingredients. This serum gave my tired, dehydrated, mature looking skin amazing results from first use. 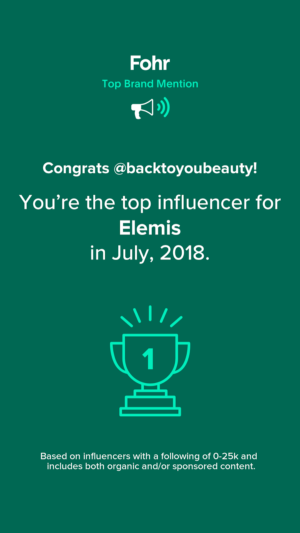 Now, i like to think i have good skin, in that i look after it very well and use products i know and trust, however, i am always testing new brands and products for the blog. I was, and remain to be, blown away by this serum. Fermented yeast is the central ingredient in the YE Effector serum along with a healthy dose of Co-enzyme Q10. Fermented yeast as we all know, is a great way of growing good bacteria in the gut, think along the lines of Kombucha tea and Sauerkraut, so it makes great sense that it would work in skincare. Yeast breaks down good bacteria making it easily absorbed into the skin and this serum works immediately. A very thin consistency, i apply one measured dose over cleansed skin and under my moisturiser and massage in. At first, it seems to make the skin feel dry, which does feel weird, but go with it…after applying a generous amount of moisturiser my skin immediately looks brighter and alive. Every morning and evening when i use this, my skin appears to take on an almost sun kissed look because it literally evens out my skin tone and just boosts my skins Collagen, elasticity and vitality. I cannot rave highly enough about this product and never want to be without it. This would work amazingly on anyone with a normal/combination or oily skin but my dehydrated skin loves the results so much that i actually layer it with the next product…. 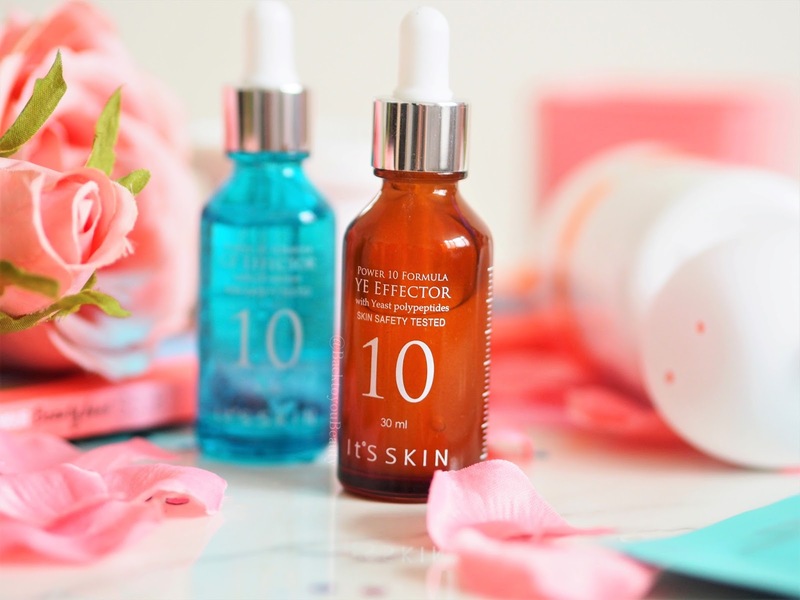 If you have a dry, thirsty or dehydrated skin type, as i do, then definitely reach for this serum. 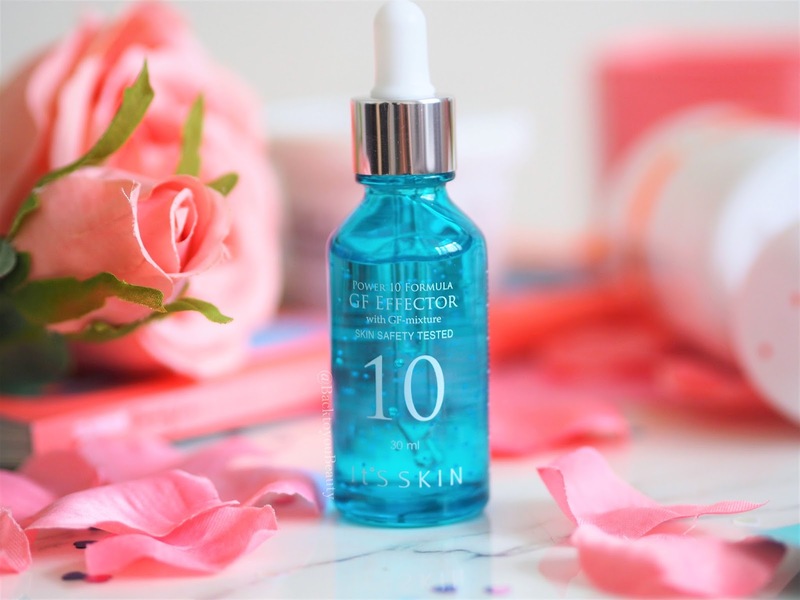 Beautifully vibrant, this bright blue serum feels cooling and immediately hydrating on the skin. A light, non scented, gel like consistency that immediately sinks into the face and neck without leaving any sticky residue behind, this antioxidant packed serum also contains an ingredient called Grifola Frondosa which is a mushroom jam packed with vitamins and minerals. I actually layer this under the serum mentioned above because i adore the results from both of them but you can use this alone, after cleansing and before moisturising. Oh, my, gosh…if you love products that make your mouth water, then this is for you. I know i mentioned this product before, but i am on my second tub and i love it. This super rich, hydrating and nourishing hand cream has gotten me through winter relatively unscathed. 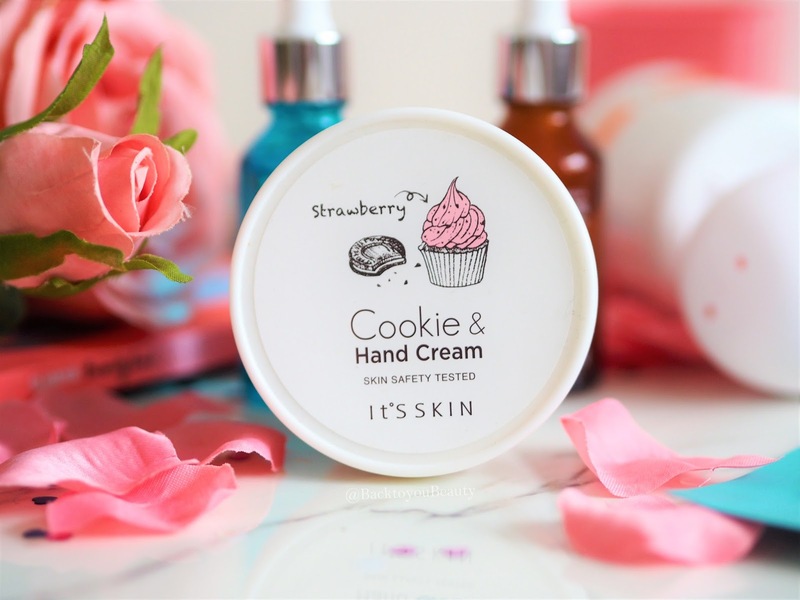 Aside from the packaging being incredibly cute and the scent being deliciously edible, this hand cream works really hard at hydrating over worked skin. Containing plant extracts, oils and butters it also makes a very cute gift. 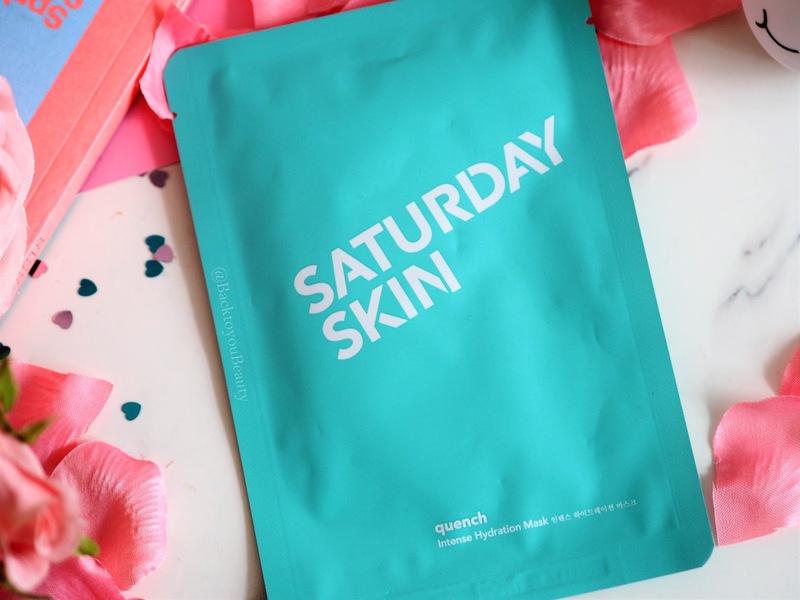 Saturday Skin is the cult Korean skincare brand created by scientists at Chaum, a well known wellness centre in Seoul. Using an exclusive peptide formula. Saturday Skin believe skin should look as great as we feel after a fun night followed by a fabulous Saturday morning lie in, when we wake feeling refreshed, revitalised and happy. This sheet mask is the same to apply as all others of its kind. After cleansing and toning apply this Quench mask, which feels incredibly cold and wet on application, but adheres to the skin perfectly, then leave it for 20 minutes whilst you relax and get up to something else. Containing uplifting citrus oils as well as watermelon and aloe vera this is wonderful at immediately hydrating and revitalising the skin before a day or evening out. As a side note : skincare and make up sit beautifully on the skin after using these. 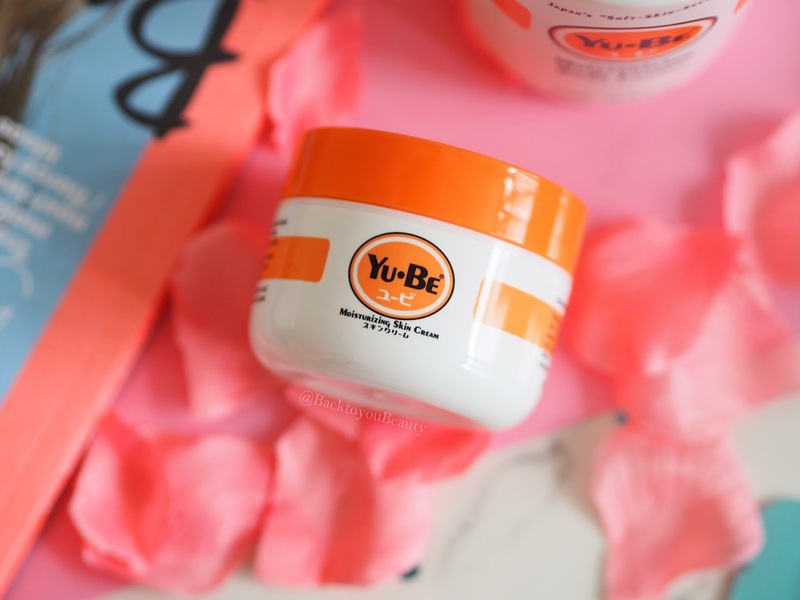 Japans best and longest selling skincare brand Yu.Be is designed to treat incredibly dry skin on the face, body and feet. Their moisture rich formula contains nourishing vitamin E, B2 and glycerine to really quench thirsty skin. It does also contain Camphor to soothe any irritation on the skin. With that in mind, just to let you know, the scent of Camphor appears quite strong at first bust does disappear really quickly. Housed in a user friendly pump container, this moisturiser hydrates like nothing i have ever known before and literally keeps the skin feeling soft and smooth all day long. I love this on my feet and heels and also on my legs. They do also do a Moisturising Skin Cream which you can use on the face, but i find the scent of Camphor completely overwhelming in this product and although it leaves my face feeling beautifully baby soft, i prefer to use this as a body product only. 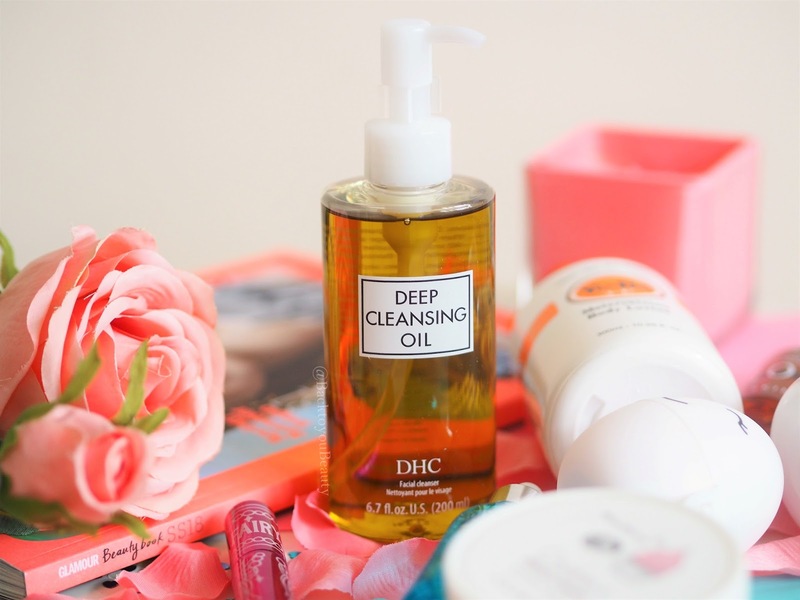 The Japanese ritual of double cleansing is very important and DHC know all their is to know about cleansing (read more HERE) This oil is in my list of top 5 favourite cleansing oils for a reason. Containing Olive Oil and Rosemary it smells very fresh and is an absolute pleasure to use. Apply with dry hands to dry skin and gently massage in, allowing the ingredients to lift away the dirt and grime. Add water to emulsify then wipe away. After using this my skin is always left feeling unbelievably clean, fresh and deeply nourished and hydrated which is exactly what mature skin should feel like after cleansing. If you need a new cleanser, i can highly recommend this. Wow, wow, wow, wow and double wow. 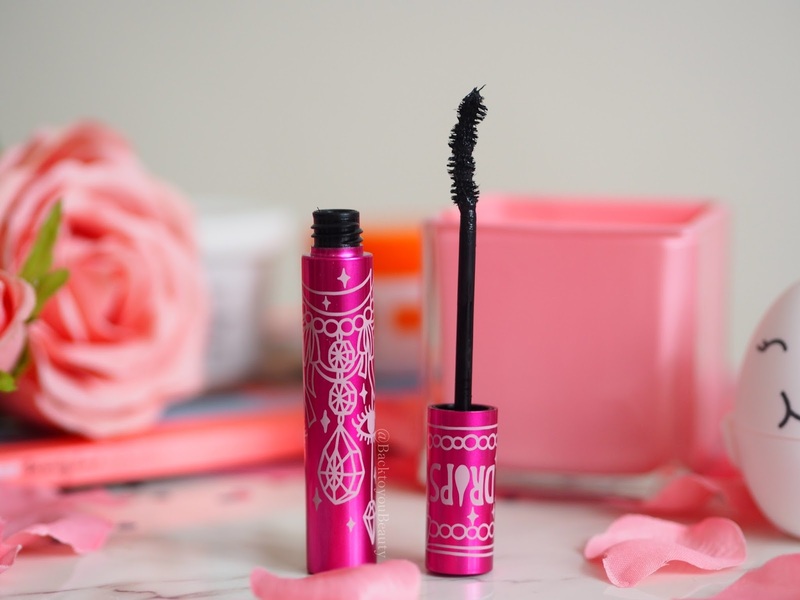 This cult beauty Japanese mascara has earned cult status for a reason. Its unique and patented bobble brush fits into the curves of the lashes like no other. Loved by make up artists and celebrities alike for giving that “Doll like” lash look, this fiber-rich, smudge free, glossy black formula lasts all day long. Packed with good-for-you ingredients such as Hyaluronic Acid, Collagen Panthenol, Squalene, Jojoba Oil and three types of treatment peptides, this not only coats your lashes in the blackest of the black mascara, but also looks after them and keeps them hydrated and silky soft. Available in both water resistant and waterproof formulas this perfect for everyday wear. 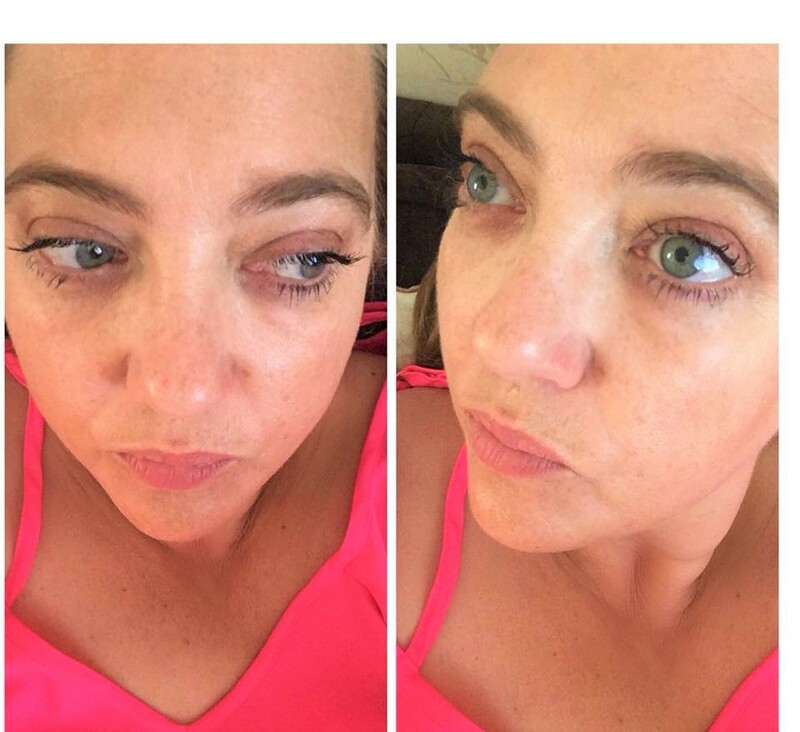 The photo below is actually a photo i was sending a friend, i wanted to show her how naturally pretty this mascara is with no other make up on. I absolutely adore this product. There you have my current pick of J-Beauty and K-Beauty favs. 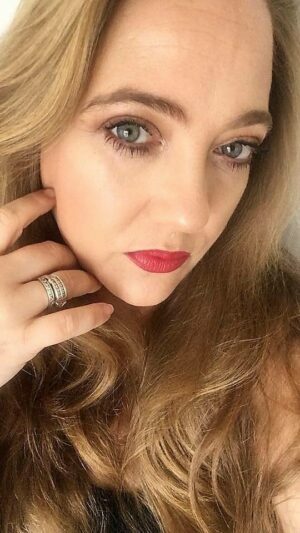 I absolutely love trying out new make up and skincare from both these hugely powerful players in the cosmetics industry. All of these products are available from BeautyMart HERE or below. Have you tried any of the products mentioned above? Can you recommend more products for me to try? I wold love to hear from you so please leave me a comment below. Saturday Skin is a brand I want to get my hands on!